Our client is a couple with a toddler. 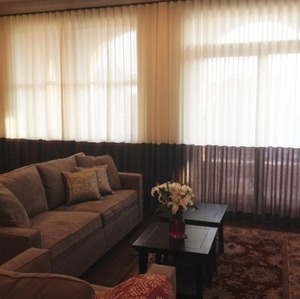 They had been living in their Lincoln Park condo for 3 years and wanted to make their home more comfortable by adding window treatments. Since relocation was fairly possible in the next two years, it was important to keep the design simple and neutral fore resale. 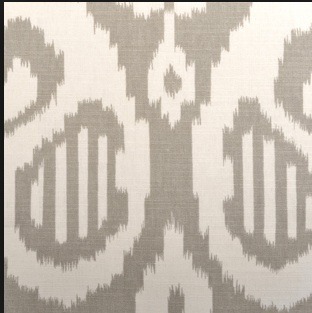 We collected samples of fabric to show our client. 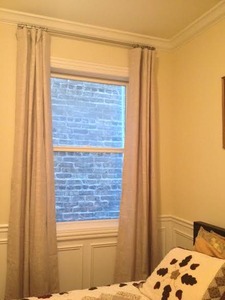 KTID measured all windows to get a preliminary cost for fabrics and worked closely with our window treatment installer to keep the client on budget. 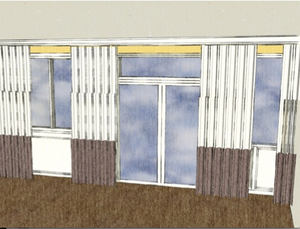 Once we got closer to determining which style to go with, we communicated design visually with SketchUp. Our client then decided that they loved the contrast banding of the long wall for the Living Room. 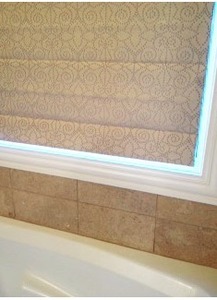 This window treatment was not lined because there is no need for true privacy in this area. 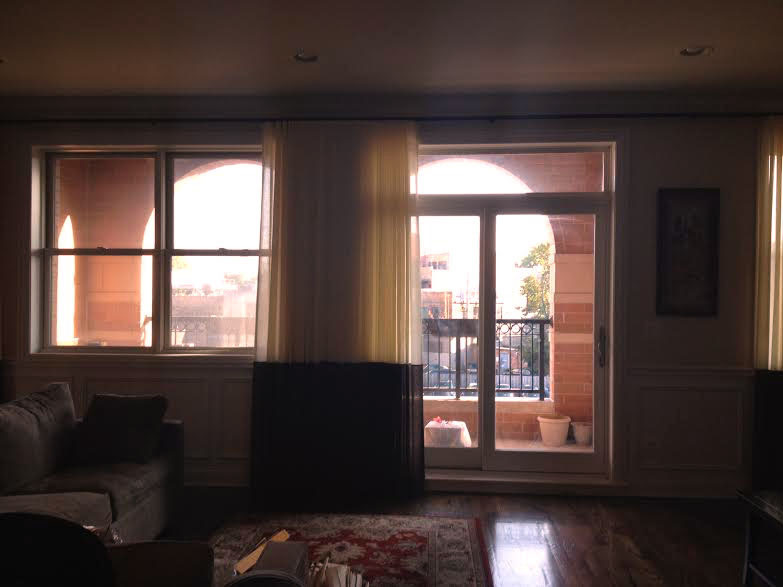 When the curtains are closed, they still have some light filtering which is perfect for the afternoon. In the master bedroom we chose an IKAT pattern that has blackout shades. In the master bath we chose an outdoor fabric for a roman shade. 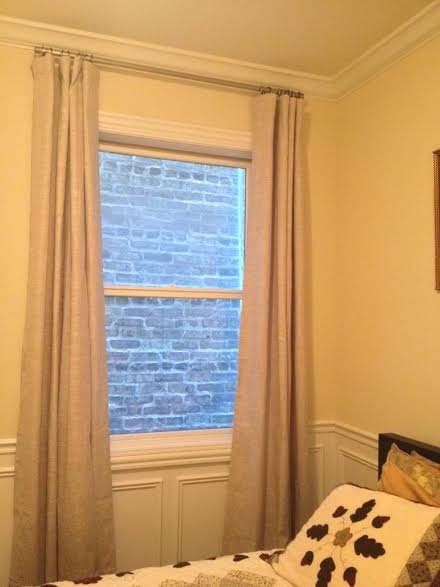 The Guest bedroom and infant room had neutral linen shades that were purchased as ready mades with minor alterations. 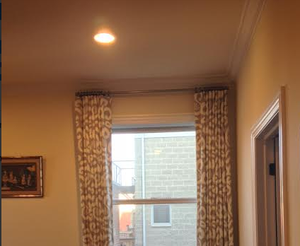 The window treatments really pulled the rooms together. 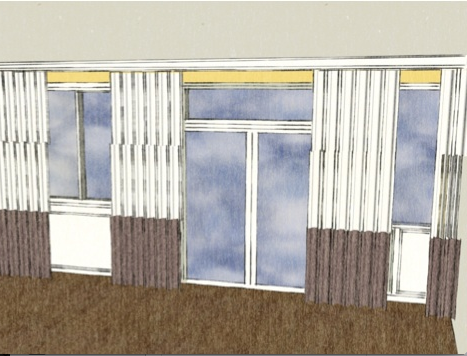 The clients wished they had installed the curtains years earlier!